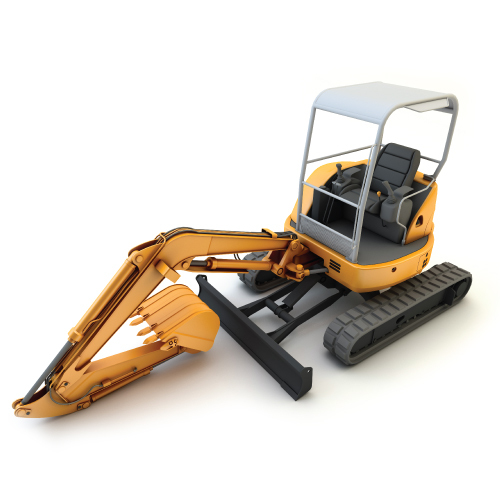 Mini excavator is a tracked or wheeled vehicle with an approximate operating weight from 0.7 to 8.5 tonnes. It generally includes a standard backfill blade and features independent boom swing. 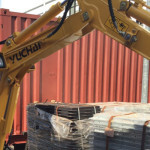 The house structure contains the operator's compartment, engine compartment, hydraulic pump and distribution components. The house structure is attached to the top of the undercarriage via a swing bearing. The house, along with the workgroup, is able to rotate or slew upon the undercarriage without limit due to a hydraulic distribution valve which supplies oil to the undercarriage components. 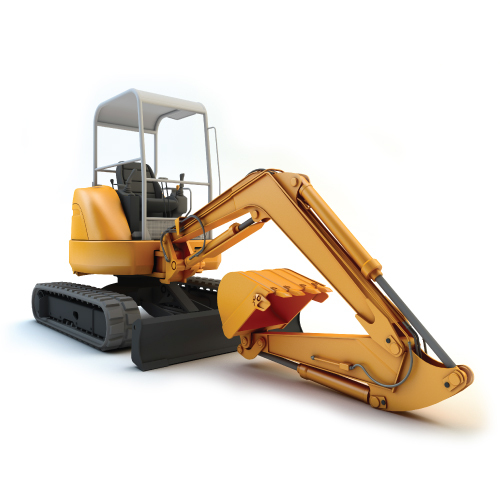 Slew Slewing refers to rotating the excavator's house assembly. 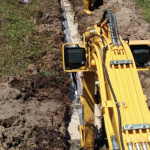 Unlike a conventional backhoe, the operator can slew the entire house and workgroup upon the undercarriage for spoil placement.